Home Secretary Theresa May used the Tory party conference to re-ignite the anti-refugee and anti-migrant rhetoric. She used the opportunity to pretend that economic migrants are flooding in to our country, and intentionally muddled refugees with migrants in the hope that the general public can’t understand the difference between the two. She also peddled the populist idea that migrants are stealing the jobs of British people, despite all evidence to the contrary. Mwhahaha. Unfortunately, people who aren’t seeking re-election and who aren’t seeking to beat Osborne to succeed David Cameron, have chimed in with some actual statistics. In fact the Home Office itself has admitted that there is little evidence that economic migrants steal British jobs, but instead they help economic growth and plug vital skills gaps, in particular in the NHS. Hopefully the government can suppress the civil service in future so that we can govern by fear, not facts. Yesterday we asked what was Cameron actually committing to when he said we would take thousands more Syrians. News comes out today to confirm that we were right to be sceptical. There are an awful lot of desperate people who are not going to tick those boxes. We know that’s true because this is not a new scheme – it’s the one which has seen us accept 216 people so far. It doesn’t help anyone who has already left the Syria border area. It especially doesn’t help anyone who is already in Europe. Children will still be killed crossing the sea, because this scheme offers them no fresh hope. Cameron has done nothing new at all, and is trying to get good press out of it. Mwhahaha. What has Cameron committed to? After immense pressure (probably intentionally self generated, as we reported yesterday), David Cameron has agreed to accept “thousands” more Syrians. Is there anything evil in his change of heart? Well, he’s actually doing a lot of things in a good way – he’s proposed taking refugees from Syria’s border to discourage people from making the trip across the Mediterranean. He’s pledged £100m in support to help people in the refugee camps. All of which sounds superficially good. But as we have learnt, the Tories are great at saying things that sound good, but end up being evil (e.g. benefits cuts, but not promised tax cuts to match). So what can we hope for? We calculated yesterday that we have a moral duty to help between 40,000 and 150,000 refugees. Cameron has said we will help “thousands”. Our bet is that that is closer to 4,000 than 40,000. 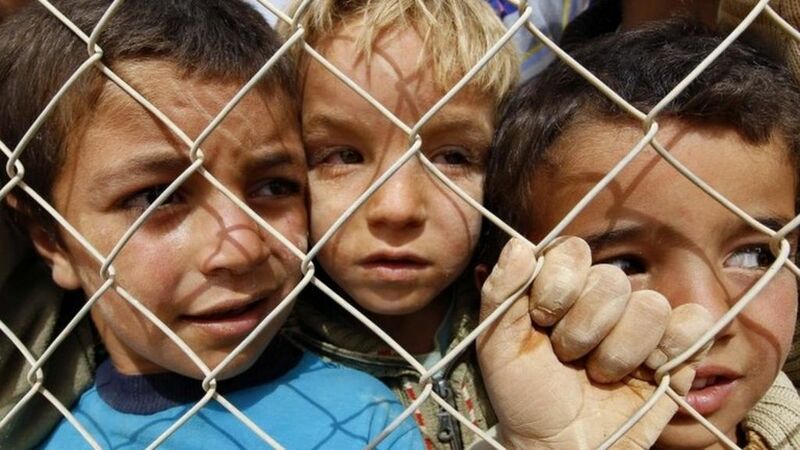 Cameron has also said that they won’t be granted Refugee status, but instead will be granted Humanitarian Protection. At the moment that offers many of the same rights, but we’ll see if that changes. Where will the migrants be housed? Their status should allow them to work, and thus rent their own homes. But you don’t get a job on the first day you arrive, so will he allow them to stay in a B&B, or will we have a Sangatte style shanty town? The scope for evil is immense still. Mwahaha.